Amir Kohen Klonymus, Area A supervisor of the Ophel Excavation, shows a few of the items found in a fire pit at the Ophel Excavation in December. You may find it difficult to understand his English, but stay with the 11 minute video, past the family visit of some sponsors of the dig, to the summation by Prof. Eilat Mazar. I think anyone who has seen any part of the excavation areas on the south side of the Temple Mount will enjoy this video. This video and others are available on the blog of The Key to David’s City here. 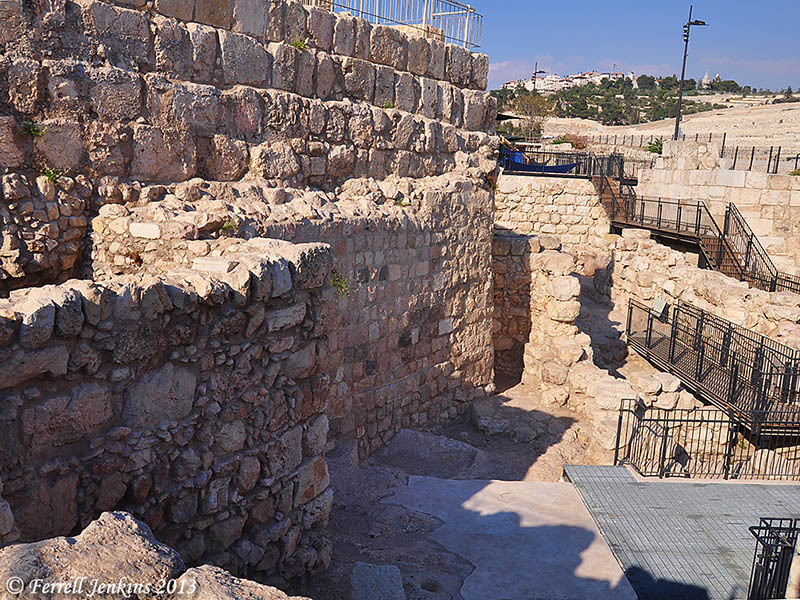 The photo below shows a portion of the Ophel Excavation. Ophel Excavations – View East. Photo by Ferrell Jenkins. Thanks for the link to the video. I have seen several of the others in the past months. This has been an exciting excavation.